Gierre J Godley is a dancer, choreographer and teacher currently living in NYC. Originally from Arkansas, he trained at the Ailey School, Millikin University and he received his MFA from NYU’s Tisch School of the Arts. In 2010, Gierre created PROJECT 44, an all-male troupe dedicated to showcasing the beauty of male artistry throughout the arts. Awarded the NECF Choreography and Echo Award. 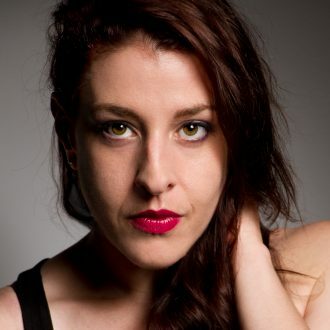 Gierre is currently on faculty at The College of Mount Saint Vincent, Suffolk County Community College, Connecticut Dance Center and is a performer in the NYC Bessie Award Winning show Then She Fell. Lauren Lovette began choreographing in 2007 as a student at the School of American Ballet. While enrolled there, she participated in two choreographic workshops and was then selected to create a work for the 2009 New York Choreographic Institute. In 2016, Lovette choreographed for the New York City Ballet (NYCB) Fall Fashion Gala and was commissioned to make a work for an arts seminar at Kirkland and Ellis Law. In 2017, she choreographed for the Vail International Dance Festival, the NYCB Fall Season Gala, and the American Ballet Theatre Studio Company. With NYCB, Lovette has been employed as a dancer since 2009 and principal dancer since 2015. Reed Luplau most recently performed in Moulin Rouge! The Musical, in Boston. 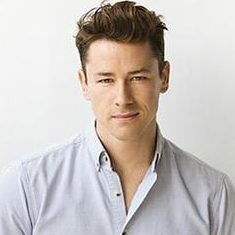 Born in Perth, Australia, and a graduate of The Australian Ballet School he has performed in Broadway’s Great Comet of 1812 and Fiddler on the Roof. 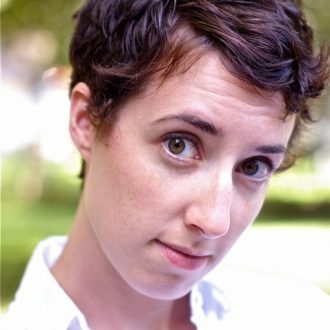 Associate Choreographer to Brooks Brothers Gala, The Australian Ballet, and more. JoAnn Hunter has 20 Broadway shows to her credit as a Choreographer, Associate Choreographer, and performer. Broadway: School of Rock (B’way, US Nat’t Tour and West End, Australia); Disaster; On A Clear Day You Can See Forever; and Broadway Bound. Off-Broadway: Rock and Roll Refugee, Dedalus Lounge, The Twelve, and more. Upcoming projects: August Rush in Chicago, Joseph… at the Palladium in London. In development, Rock and Roll Refugee, the story of lady rocker Genya Ravan, and Perfect Spiral, conceived by JoAnn, is a story inspired by true life events. Karla Garcia is currently on Broadway in Hamilton: An American Musical. Favorite performance credits include Broadway’s West Side Story, Gigi, Hot Feet, and the national touring productions of WICKED and The Addams Family. TV: “Smash,” “SYTYCD.” She is the recipient of the Richmond Theatre Critics ‘Best Choreography’ Award for her original work on In the Heights (Virginia Rep). Karla was one of six ‘Broadway Bound choreographers’ selected to present at the 2018 DANCEBREAK showcase. She is on the theater faculty at Broadway Dance Center. She is excited to be a part of DLNY! Kenny Corrigan is from Southwick, Massachusetts and currently residing in New York City as a freelance dancer. Kenny received his BFA from Point Park University. 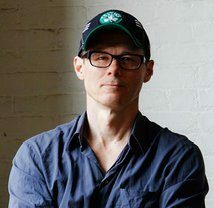 He has worked with several dance companies such as Texture Contemporary Ballet, Bad Boys of Ballet, Sheep Meadow Dance Theatre, Freckled Sky and Buglisi Dance Theatre. Broadway: Rogers and Hammerstein's Carousel. National Tours: An American In Paris. Television: “Jimmy Kimmel Live!” Film: Steven Spielberg's West Side Story, in theaters in 2020. 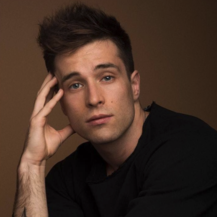 Hank Hunter, originally from Pittsburgh, Pennsylvania trained with Paul Taylor Dance Company, LINES Ballet, Pittsburgh Ballet Theatre and received his BFA at Point Park University. He has performed works by greats like George Balanchine, Ohad Naharin, and David Parsons all around the world including Japan, Israel, Germany, Costa Rica, and more. Youngsil Kim moved to NYC to study dance at the Joffrey Ballet School and the Ellison Ballet professional training program, where she graduated in 2008. She has danced with Eglevsky Ballet, Connecticut Ballet Company, Ballet Hispanico II, Peridance Contemporary Dance Company, Complexions Contemporary Ballet and more. Kelly Marsh, IV is a graduate from the University of North Carolina School of the Arts with a BFA in Dance. He began training at Center of Creative Arts in his hometown of St. Louis, MO and then The Ailey School, Kerry Mansfield, Richmond Ballet, ABT's Collegiate Intensive, Dance Theatre of Harlem, Complexions Contemporary Ballet and Cedar Lake 360. Hunter Mikles has performed in Dirty Dancing, Brigadoon, Beauty and the Beast, and Thoroughly Modern Millie, Newsies and Big! His concert work includes Neville Dance Theatre. Point Park University Dance '16 Alum and more. Nicole Morris was born and raised in Sarasota, FL. She trained with Sarasota Ballet and with Cheryl Copeland of Austin, TX. She then attended Florida State University where she graduated with a BFA in Dance. Currently, she performs with Kristin Sudeikis Dance and NOW Dance Project. Jamie Pfaff was recently seen in Singin’ in the Rain, and as Liza in Seven Brides for Seven Brothers, Peter Pan, Disney’s Tarzan, The Hunchback of Notre Dame, Disney’s Newsies, Mamma Mia! and Shrek the Musical. Maia Schechter is originally from Shrewsbury, Pennsylvania. A Linehan Artist Scholar, she graduated with honors from The University of Maryland Baltimore County. She has professionally danced for companies Baltimore Dance Project, Pacing Bodies Dance Company, and Peridance Contemporary Dance Company. Sarah Sigman began her dance training in Indianapolis, Indiana and continued her pre-professional training with the company of Gregory Hancock Dance Theatre. Sarah double majored in dance and anthropology at Loyola University Chicago then to perform in Kenyettá Dance Company and Memphis the Musical. Julien Valme is from Miami, FL, began his training at local dance studios before graduating with a Bachelor of Fine Arts in Ballet Performance at the University of South Florida. He has performed works by Jennifer Archibald, Maurice Causey, Alonzo King, Al Blackstone, and Doug Varone to name a few. JOSH PRINCE began his career as an actor after graduating from the Cincinnati College Conservatory of Music. He went on to appear on Broadway in Little Me and Saturday Night Fever, as well as perform in numerous regional theater productions and concerts. Before turning his attention to choreography, he also appeared Off-Broadway in Forbidden Broadway, toured the country in CATS, and starred as “Carmen Ghia” in The Producers opposite Jason Alexander and Martin Short at the Pantages Theater in Los Angeles. In 2006, Josh made his Broadway choreographic debut with Shrek, The Musical (Outer Critics Circle Nomination), which opened in December of 2008 and went on to tour the US, play in London’s West End, and tour the UK. 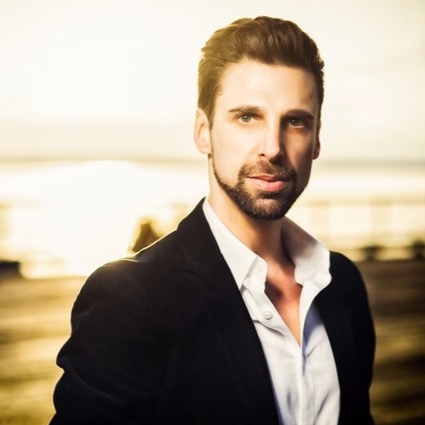 He has choreographed shows at prestigious venues across the US and UK, including New York City Center, Carnegie Hall, Lincoln Center, The Kennedy Center, The Signature Theatre (DC), BAM, The New Group, The Old Vic, Royal Festival Hall, and The Royal Albert Hall. Josh choreographed a new adaptation of the animated film, Frozen, for Disney Cruise Lines, and made his directorial debut with Grease at the Winter Garden Theater in Toronto, CA. 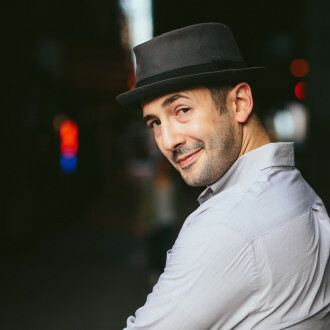 He is the choreographer of the new musical, Trevor, with director, Marc Bruni, and is currently collaborating with Tony-nominated director, Sheryl Kaller, on two new musicals, A Walk On The Moon and Bliss. 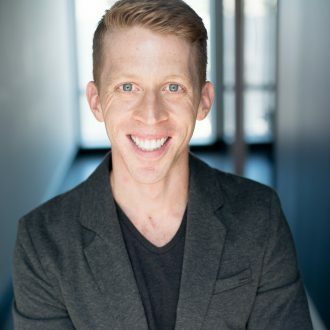 Josh is the proud choreographer of the award winning hit Broadway show, Beautiful - The Carole King Musical (Olivier, Helpmann, and Astaire Award nominations), which is currently running at the Stephen Sondheim Theatre and has toured the US, UK, Japan, and Australia.